Welcome to our West Drayton office. 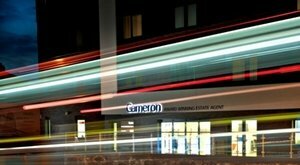 We have been at the heart of the town since The Cameron Group started in 1994, although our current office is not our first. We moved to our present branch in 2017 – a more impressive premises in one of West Drayton’s most prominent positions. We believe a High Street office staffed by friendly experts is still an essential part of estate agency. You can’t underestimate how powerful our eye-catching window displays are - many home movers walk in and book viewings on the strength of what they see in our shop front. Being a West Drayton estate agent with a physical branch also means you can pop in and meet the people behind the name. There’s a warm welcome for all, whether you just want some moving advice, are looking for a property for sale in West Drayton or are a current client of ours needing an update.